Whether the gym is your second home or you just started lacing up those sneakers, you may have come across a workout method called the Gyrotonic Expansion System. You also may have no idea what that might entail, and we can almost guarantee you’re not alone. As far as workout and fitness systems go, Gyrotonics is fairly new to the scene, but it’s quickly gaining in popularity all around the globe. In any case, the Gyrotonic System is actually comprised of two independent exercise methods that work together for one of the most intuitive body movement exercises ever created. The Gyrotonic and Gyrokinesis methods were created by Juliu Horvath, a professional dancer from Romania. He created the methods as a way to help his body recover from severe injury and return the strength and agility his body needed to continue dancing. Many people who come to our Raritan Valley Gyrotonic studio to try Gyrotonics and Gyrokinesis also begin the program for recovery reasons, or as a way to ease in to regular exercise or even as a “light” day in between intensive routines. The primary goal of the Gyrotonic Method is to both strengthen and lengthen muscles. In essence, this means that your body will simultaneously become more flexible and agile while increasing its strength. The exercise uses a series of circular and spiraling motions to create a rhythmic pattern and easily transition from one exercise to the next. The Gyrotonic Method uses equipment that almost looks like a Pilates machine, but ours was specially designed by Horvath to match the natural movement of the human body while slightly expanding the user’s personal movements over a comfortable period of time. Because of that, the equipment can be customized to each person’s body type, accounting for details like arm reach and leg length. Where Gyrotonics work to build strength and agility, Gyrokinesis is the portion of the system that focuses on breathing techniques and building the nervous system. As such, it doesn’t require the use of highly specialized equipment, and participants really only need a small chair. Often, the Gyrokinesis Method is compared to yoga and Tai Chi in that it is primarily done through highly controlled movements and maintained breathing. Gyrokinesis classes, which are usually taught in a group by a single instructor, promote mindfulness and calmness through light cardio and balance training. Because of the adaptability of every part of the Gyrotonic Expansion System, it can be done by anyone no matter their fitness level or if they’re recovering from injuries. It is actually in those situations – where the participant needs to work on his or her flexibility and regain strength after bodily trauma – that this system really provides benefits. Professional athletes and people new to working out alike can and both see great strides, and physical and mental improvements when making Gyrokinesis and Gyrotonics a part of their lives. If you’re ready to take control of your fitness and health like never before, sign up for a Gyrotonic session or Gyrokinesis class now (we offer new-client discounts!). If you’re in New Jersey and want to find out what the exercises are all about or you have any questions, call RV Gyrotonic at (908) 288-7551 or visit the studio. After playing competitive tennis at the University of Florida and then getting into cycling, Trevor Taylor had a rough accident that lead him to quit both sports completely. Though he maintained his fitness through weightlifting, he found that his body just wasn’t moving the way he needed it to when he made his way back to the tennis court, causing him even more injuries. Taylor ended up having a number of surgeries and found himself at a Gyrotonic facility as part of his recovery. After training with the Gyrotonic Expansion System, his body went from stiff and off balance back to the athletic and agile form he once held. If you need to build your overall flexibility, endurance and strength in a way that actually fits in with your lifestyle, come visit Raritan Valley Gyrotonic in Fanwood, New Jersey. We can help you achieve your fitness goals through private or group classes (and even offer new-member discounts). Give us a call at (908) 288-7551 or stop by our studio and let us help you get started on your recovery or fitness journey. The GYROTONIC® Interview Series – Up Your Game from GYROTONIC® Headquarters on Vimeo. If you read any fitness magazine or follow any health blog, you may know that Gyrotonics and Gyrokinesis have been trending in the fitness world for quite some time now. Those who are just beginning their fitness journey, or who prefer traditional exercise methods like hitting the pavement for a run or lifting at the gym, might still not quite know all the benefits of incorporating the Gyrotonic Expansion System into their weekly workout routine. This exercise routine, which focuses on breathing and body movement, actually benefits all athletic levels. 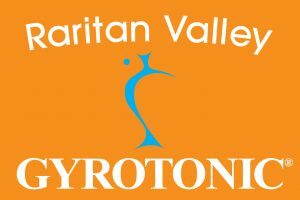 Beginners find the Raritan Valley Gyrotonic studio in Fanwood, New Jersey to be welcoming, friendly and a great place to learn the basics without being judged or self-conscious. People with a little more athletic experience – from yogis, to ballerinas, to marathon runners even – find both Gyrotonic and Gyrokinesis exercises are the perfect supplement to more difficult and strenuous activities. The thing with the Gyrotonic Expansion System is that the more you practice, the more benefits you’ll receive and the more you’ll see your body transformed. Both exercises are designed to reduce stress, lengthen muscles, improve agility and increase flexibility. The system doesn’t necessarily focus on besting yourself (or those around you) or pushing yourself to exhaustion to beat a personal record. Instead, the focus is more philosophical, it’s about getting in touch with your body and its strength. In taking the pressure off “working out,” our clients find that they feel more connected to their body and see a difference in strength and flexibility during everyday activities. Gyrotonics and Gyrokinesis are also helpful for people with injuries or who experience chronic pain. The gentle, purposeful movements decompresses the joints and spine and sort of massages the muscles, which usually leads to pain relief in our clients. Many clients, whether it’s their first class or they’re an avid follower, tend to leave a session with better posture and feeling more relaxed, stronger and even taller! Hour-long sessions can be scheduled privately (as most Gyrotonic classes are conducted), or in a group or duo setting (which is how Gyrokinesis classes are ran). In order to start reaping the benefits of these workouts, you have to sign up for a class! We even make it easier by offering new-member discounts, plus group, duo and private classes so that you feel comfortable learning the basics at your own pace. If you want to learn more or take the first step in joining a class, give Raritan Valley Gyrotonics a call at (908) 288-7551, send us a message or stop by the studio today.